The Social Justice visit from Concordia Moorhead, Minnesota students began this past Saturday. 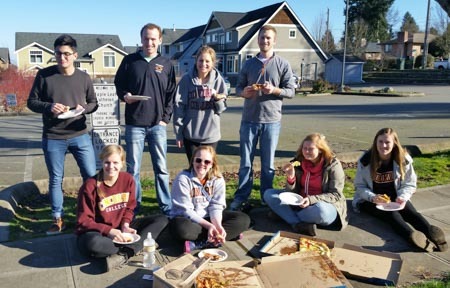 They enjoyed Pagliacci pizza out in the beautiful day once they settled in. Our guests leave behind very cold temperatures and look forward to taking in all the unique offerings of the Northwest. Welcome students! Stay tuned for updates on their visit.